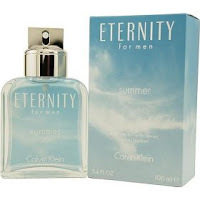 A modern interpretation of the classic Eternity For Men fragrance, Eternity Summer For Men is transparent and perfectly summer-ready with notes of green, fresh, and watery accords melded with violet, leaves, hyacinth, warmed with precious woods. Notes include Wet Summer Aldehydes, Lush Living Melon, Dewey violet Leaves, Hyacinth, Cedar Leaf Oil, Patchouli, Amber. Style: Clean. Crisp. Fresh. Polo Blue By Ralph Lauren For Men.